Wondering what is the best central heating pump but don’t know where to find the correct advice. Look no further than this article written by Martin Smith a well known experienced emergency plumber in the UK. Just below are the most common questions asked when people are looking the best all round pump for central heating. What is the best central heating pump I can buy? When replacing the pump, what pump should I expect to have replaced? What pump should emergency plumbers carry as stock on there van? How much should I pay for a central heating pump? Where can I buy the best central heating pump? What is the guarantee for a good quality pump on my central heating system? How much should I expect to pay when having my central heating pump replaced? How long does it take to order a Grundfos pump? What is the number to contact Grundfos pumps? The best central heating pump you can buy is Grundfos. Not just any old Grundfos but a pump that is energy efficient. Most plumbers when fitting a pump will carry a standard grunfos or another make, depending on the budget the customer can spend and the cost of the pump to the plumber. The plumber is allowed to fit the non-efficient pump until 2015, however the manufactured had stopped making them since December 2012. So until supplies have come down you are most like to find that the plumber will fit the non-efficient pump for your central heating. If the plumber has the customer in mind then you will have a choice or the plumber will just fit n efficient pump. 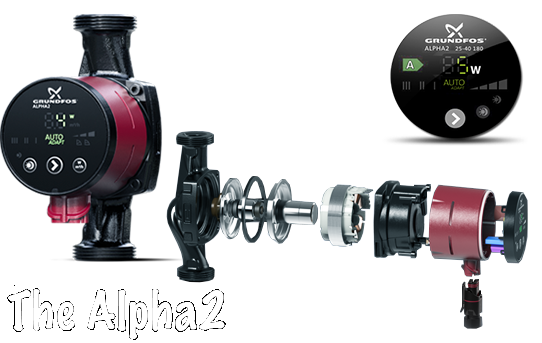 If a plumber has the old type of pump then it is a good idea to think of the future and buy the Grundfos Alpha 2. Once you carry the best central heating pump for the customer in mind then your on the right track to becoming a decent plumber who understands the efficiency for the future. When buying the best central heating pump you will expect to pay from about £120.00 upwards, However if you are buying directly from a plumbing engineer you should expect to pay an additional 25% but no more. If you head in to the BES website then you should expect to pay under £120 inclusive of VAT. You can buy the Grundfos 15/50 or most other pumps from BES, Screwfix or any decent plumbers merchant. Once you have you Grundfos Alpha 2 15/50 or any other type of Alpha pump fitted you should have more than 12-months. Grundfos give 2-years but is from the date of manufactured. Unfortunately an emergency plumber will carry this as stock and therefor if it’s been on the van for more than 6-months then the guarantee is shorter. As I am unable to confirm this, the guarantee is most likely going to be for time of installations. In most 50% of all cases you will find the valves surrounding the pump are unable to close correctly due to use of high use which only means one thing. Pump valves are not built long enough to with hold the use of a pump. If the pumps are able to be closed then the costs to replacing the pump can be done within the hour. The will estimate the job to a cost under £250 which will include the supply of the pump. If the job then becomes bigger then you would expect to pay on average £320 due to the average complications. It has also been known with complicated systems to cost about £500 or more but is normally down to either the size of the system or any occurring faults. To order a Grundfos pump it depends which one you are ordering. If you order the most basic one then this may take within the day but if ordering a complicated as there are so many, then this can take a while depend if the manufactures have run out or not. If a part can not be ordered with a month then it’s because there is not enough for demand and you may have to wait longer or adapt what you need to do. 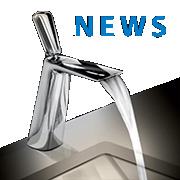 If you are looking to contact Grundfos then the number is 01525850000.